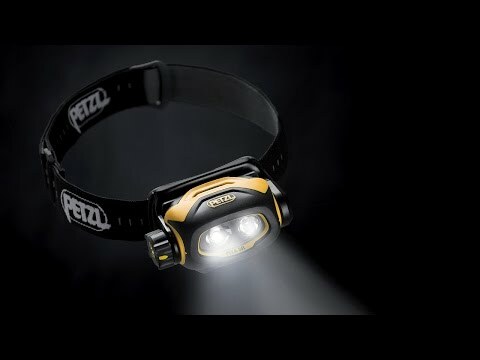 The Pixa 2 is a professional-grade headlamp that's waterproof and built to stand up to rough handling. Output modes include flood and spot that adapt to close-up tasks and jobs that require a focused beam. Regulated output ensures it won’t dim through long work days, and a rotating head locks out the switch and protects the lens as it kicks around in your toolbox. Plate mounts on a Petzl Vertex helmet for your days off. Lighting head is removable to place for direct lighting in tight spaces. Provides both a spot and a flood beam without any adjustment. Switches to reserve mode (10 lumen for 13 hours) when batteries are almost drained, and signals by blinking. IP 67 waterproof rating (immersible to 1 meter for 30 minutes, no maintenance required after immersion). Resistant to falls up to 2 metres and crushing forces up to 80kg. Takes 2 AA/LR06 batteries (included). Compatible with alkaline, rechargeable Ni-MH and lithium batteries.